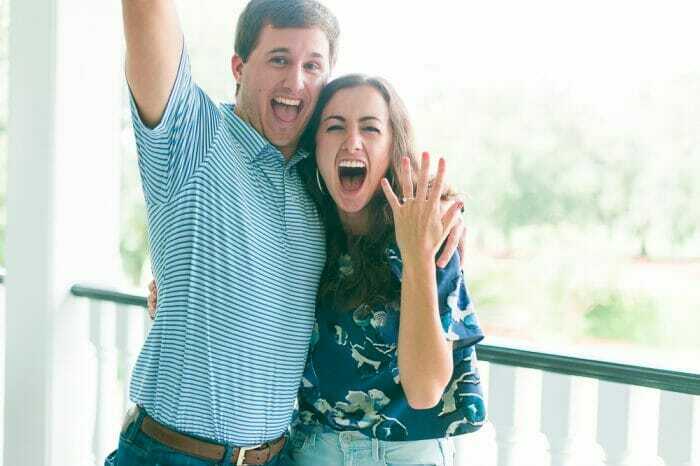 Dylan and JB's Proposal on The Knot's HowTheyAsked.com! JB and I met on a Saturday afternoon last November at one of our mutual friend’s, Rebecca’s, house. She was having a bunch of people over to watch football, and me and a few of my girlfriends had decided to go. Two days prior to this, I was talking to one of my best friends about boys and relationships and told her it would for sure be a year before I’d want to go on a date with a guy. Fast forward two days later, I’m sitting in Rebecca’s backyard watching football when this random guy walks over and strikes up conversation with me. 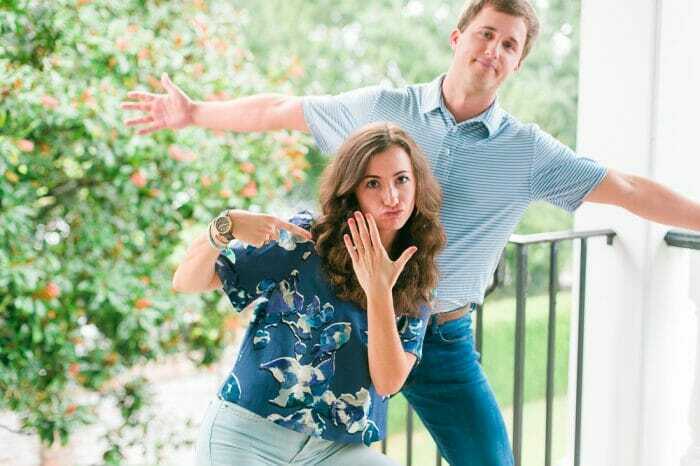 I like to think his initial attraction to me was the Clemson Tigers football jersey I was wearing (the rival school to the football team he pulls for). We talked for over an hour, realizing we were both from South Carolina and had a lot of mutual friends and common interests. He left that day without asking for my number, because in his words “you always have to leave them wanting more!” To my surprise, I was kind of bummed this cute guy I had just met didn’t ask for my number. The next day, Rebecca calls telling me that JB had called her and asked for me number and she gave it to him, hoping that was okay. My roommates remember this well, as I ran downstairs in a panic to tell them and wasn’t sure if I was excited or nervous. JB called me the next day and we played phone tag for a while until we finally we able to talk on the phone. I turned him down a few times at first, not because I wasn’t interested in him, but more because I wasn’t sure if I wanted a relationship. I learned early on just how patient this guy really is! 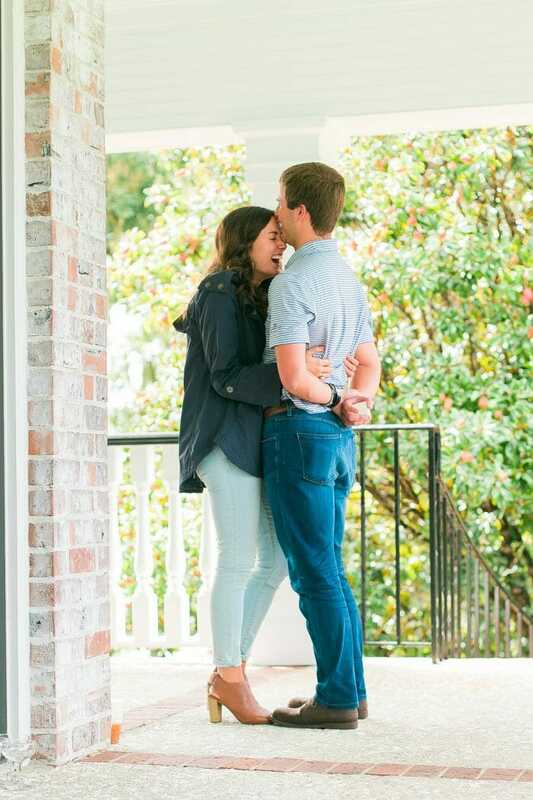 I kept saying yes to dates because I kept wanting to see him again. The proposal. What a time. So JB and I had been planning for a while to spend Labor Day weekend in my hometown of Charleston, SC. 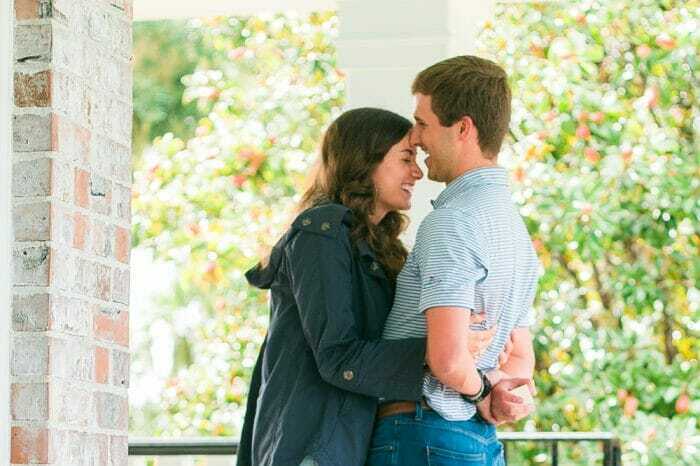 Back before engagement was much of a discussion, his parents had planned a weekend trip to Charleston with some friends, so we figured it would be a great time to go since both of our families would be in town. As it got closer to that weekend and JB and I started talking more seriously about engagement, he decided Labor Day weekend would be the perfect time to ask me to marry him! Being the man that he is, he had it set in his mind that he was going to ask my dad for my hand in marriage face to face, even though we live eight hours away from my family. On a Saturday morning in late July, he flew down to Charleston. My sisters were in town, so he talked with my mom and dad first and then gave both of my sisters handwritten letters and talked with them some as well. This meant the world to my family and made them thrilled to welcome him into our family! Meanwhile, I am back in Nashville thinking that JB is golfing with some of his friends. Ha! My mom decides they should drive out to this venue, Dunes West Golf and River Club, that I had my eyes on for our wedding day. Upon seeing it, JB knew that’s exactly where he wanted to propose! In picking out a proposal location, he wanted it to be a spot we could come back to for years to come. JB flies back to Nashville that night and makes it in time to take me on a double date! Still blows my mind that I had no clue about any of this. After this, his scheming continues. He tells all of my best friends the date and location because he knows how important it is to me for them to be there. 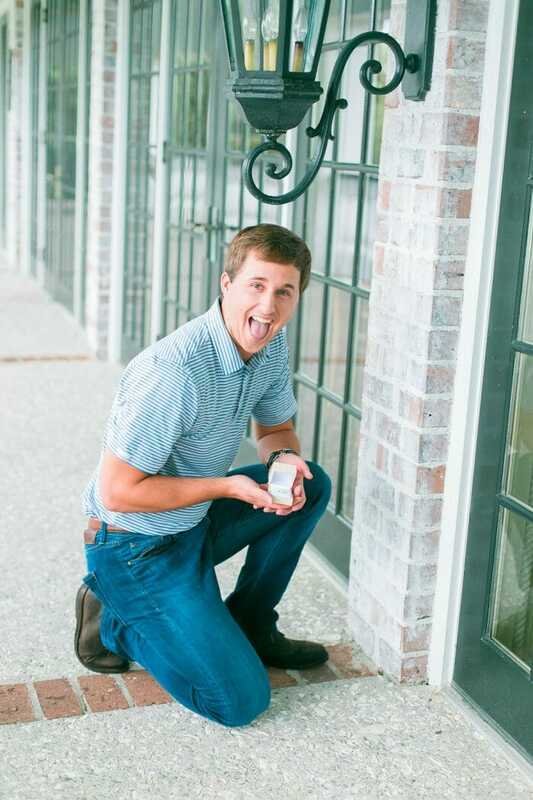 He picked out the perfect diamond and ring setting and kept it hidden in his sock drawer for over a month! The wedding coordinator sneaks back inside, and I walk over to JB, slowly realizing what is happening. We hug for a while, and I am shaking with nerves and excitement. He looks me in the eyes and tells me the most sweet and loving things (which he had to retell me later because I obviously didn’t remember). 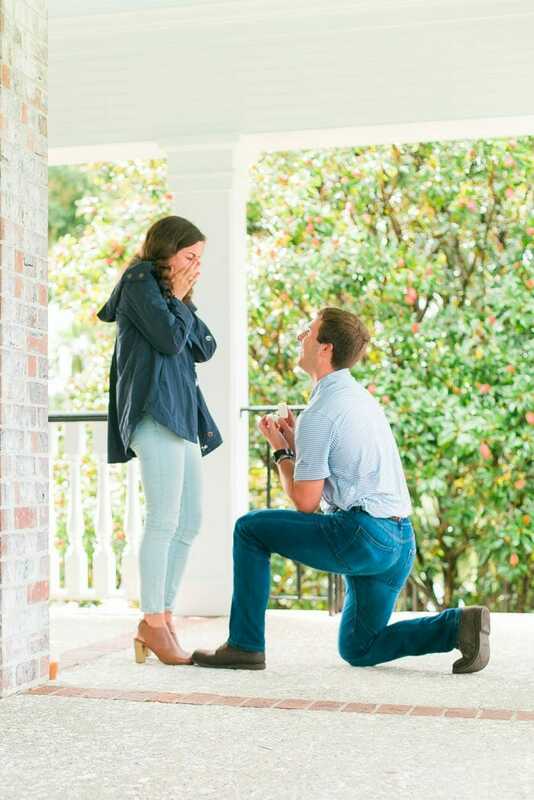 Then he gets down on one knee, and wow was it surreal! I said yes! And then saw one of my best friend, Emily Solberg, hiding behind a stack of chairs! Both of our families come out from all their hiding spots inside, and to my surprise they had flown my sister who out of town in that morning and she had been hiding at my dad’s work all day! We all popped champagne and celebrated. We headed back to my house for a surprise engagement party with some of our best friends and more family are, as well as tacos, queso and margaritas from my favorite restaurant. It was a day we will both remember forever and made me so thankful for all the incredible friends and family that I have in my life! JB could not have done a better job with the ring. I never went ring shopping, per JB’s request. So my friends knew a general idea of what I wanted and JB worked with them, as well as the ring designer at my favorite Nashville jewelry shop, Consider the Wldflwrs, to create the engagement ring of my dreams! I would to leave a little creativity up to JB, so all he knew was that I wanted a solitaire diamond and a gold band. He enjoyed working with the man he purchased the diamond from the find the diamond with the perfect color and carat. 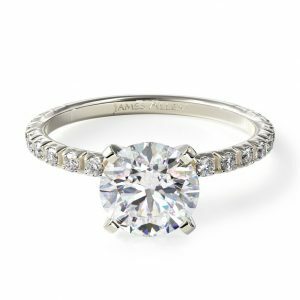 The solitaire diamond sits in a beautiful gold setting, with a unique underlay. 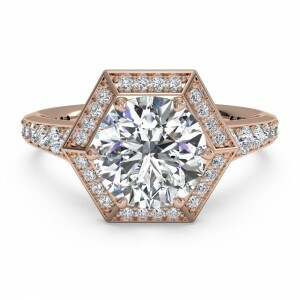 The gold setting accentuates the diamond perfectly. 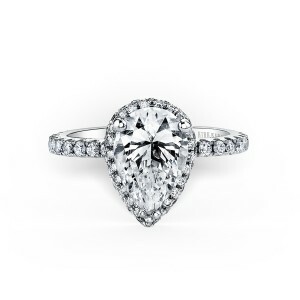 The diamond has the most sparkle too it, while still being a timeless ring that I will enjoy wearing forever.